8 pin DIN plugs, black - pack of 4 plugs. Our Powerlink compatible plugs allows you to connect BeoLab active loudspeakers to your Bang and Olufsen hifi system or television via your existing Powerlink cables - ideal if you already have cables in place. 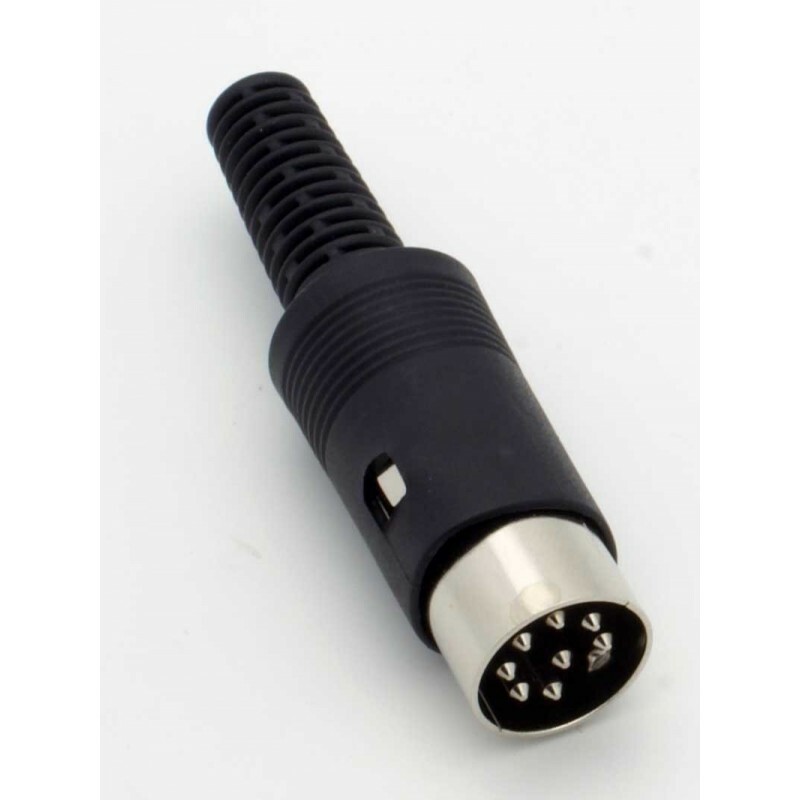 Our high quality Powerlink compatible 8 pin DIN plugs allow you to connect Beolab active loudspeakers (all models, either with or without displays) to your Bang and Olufsen hifi system or television via your existing Powerlink cables. This is a pack of 4 x 8 pin DIN Powerlink compatible plugs to fit all types of Powerlink cable. Suitable for use with almost all B&O audio systems and TV's manufactured since 1990 (any with 8 pin Powerlink output sockets) - if you are in any doubt, please ask! Available in black. Please note that you will need to be able to solder to fit these plugs to your existing cables. ​These plugs are also perfect for use with older Beolab speakers that have displays (such as Beolab 3000, 4500, 5000 and Penta). For easy installation, perhaps our ready made Powerlink mk 3 compatible cable would suit you better. Ready made cables with fitted plugs are lower cost, slimmer, lighter and low profile - allowing for much easier cable management. Installations: Our Powerlink compatible cables are also available on 100 metre reels, with unterminated ends (no plugs fitted), for use when planning your home B&O installation. We would only recommend this option for customers who have access to skilled engineers (to solder the plugs onto the cable once it has been installed).